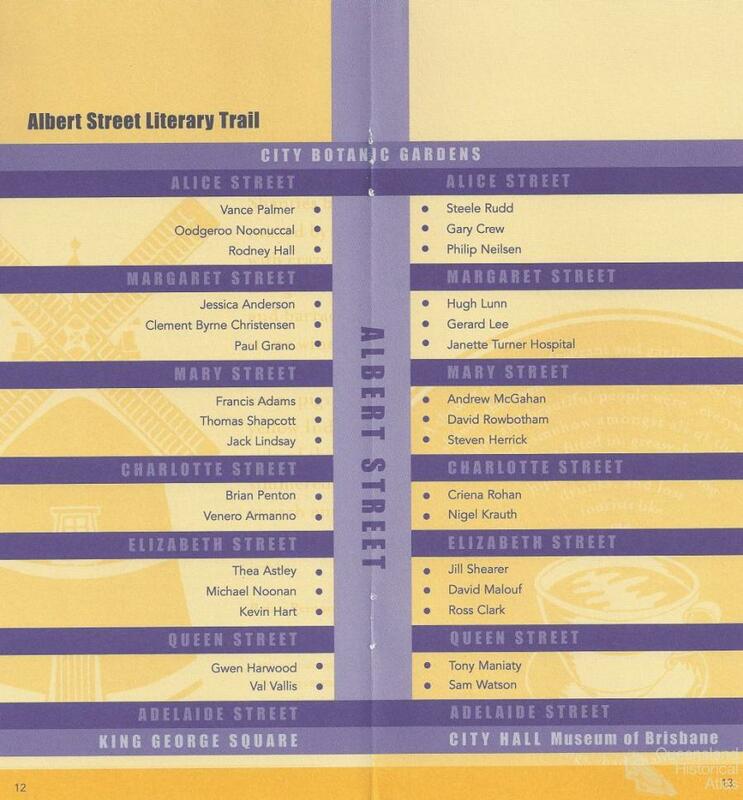 The literary mapping of Brisbane underwent a major shift in the 1990s. Until this time, even the most celebrated Brisbane authors often had imagined the city as a launching pad: a homely base from which to flee to the brighter lights of London or Sydney. In the early ‘90s, newly favourable conditions saw writers encouraged and acknowledged through initiatives like the Brisbane Writers Festival and the Albert Street Literary Trail. 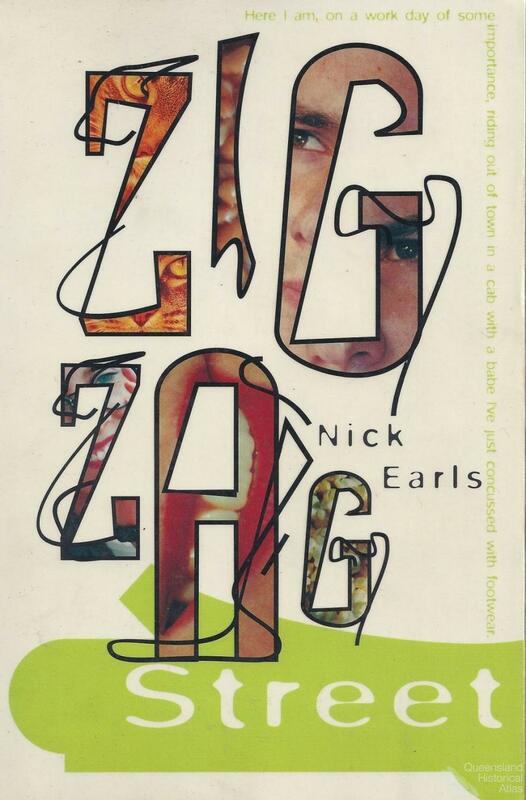 Local writers like Nick Earls, Andrew McGahan and Venero Armanno created a spate of novels describing life in Brisbane, unapologetically detailing real streets and shops, parks and landmarks, in a way that allowed the reader to follow an imagined walking trail through the city. These novels resonated with locals, and invited tourists to envisage a liveable and vibrant Brisbane, whilst placing the city firmly on the broader ‘literary map’. Brisbane had been home to accomplished storytellers throughout its history, yet was rarely viewed as a hub of literary activity. 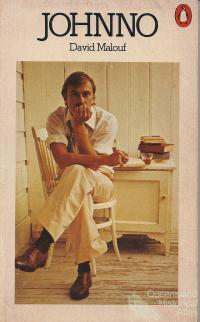 David Malouf’s central character, Dante, in the seminal Brisbane novel Johnno (1975) states that soulless Brisbane is ‘A place where poetry could never occur’. Amidst conservative political regimes, book bans and minimal arts funding, Brisbane writers struggled to succeed in the local market, choosing instead to embrace more ‘sophisticated’ cities with stronger publishing traditions. The success of Brisbane writers in the 1990s was described by anthologist Stuart Glover in 2002 as ‘one of the most significant signposts of a developing intellectual and cultural life’. In 1988, as a new political age dawned in Queensland and the nation’s bicentenary was being feted with large scale public programs, Brisbane played host to the World Exposition. The phenomenal commercial and creative success of Expo ’88 stimulated support for the arts. Simultaneous changes in the publishing industry meant books and writing were becoming ‘big business’. Sales became increasingly dependent on media coverage and the profile of the author. Brisbane was ready for this trend when it arrived, and the 1990s saw an explosion of literary events in bookstores, coffee shops and night clubs. Book readings and launches began to attract a mix of people, outside of the traditional audience of academics and writers. Online writing communities also made the world smaller, meaning writers and readers could be in contact with wider influences without necessarily travelling. Within this enthusiastic space, the Brisbane Writers Festival (BWF) grew in scope and influence. Its previous incarnations, most successfully as a Writers Week within Brisbane’s Warana Festival, had mainly been for writers themselves. 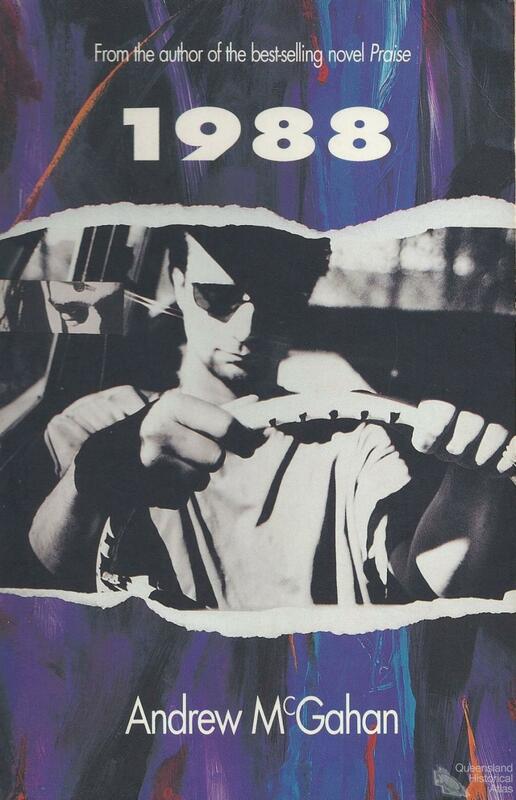 By 1996, when the Festival relaunched as an independent event, it included a diverse program of public events. The festival has played an ongoing role in what Cori Stewart called in 2009 ‘socio-political debate over the meaning and cultural significance of the city, its history and its literature’. 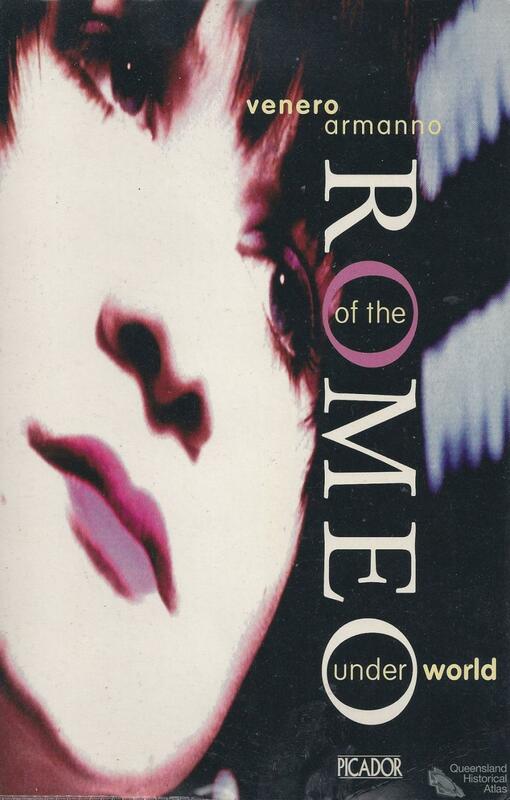 The festival, in conjunction with the establishment of peak body the Queensland Writers Centre (1990), was instrumental in altering perceptions of Brisbane as culturally remote in literary terms. So, while Brisbane was imprinting itself on the broader ‘literary map’, this flurry of literary activity was fuelling other kinds of mapping; both literal and imagined. 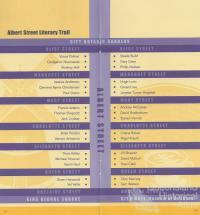 The Albert Street Literary Trail was launched at the 1996 BWF. 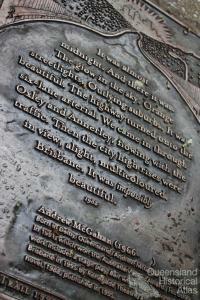 It is a series of 32 plaques featuring quotes about Brisbane by authors who have called Brisbane home. 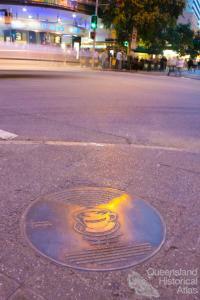 Running the length of Albert Street, in the heart of the CBD, it symbolically brings writers in from the margins. The Trail highlights the ways in which Brisbane has been represented in text; and such representations are not passively received by readers. The words evoke a landscape which either resonates with locals or draws a picture of an unknown city for wider readers. 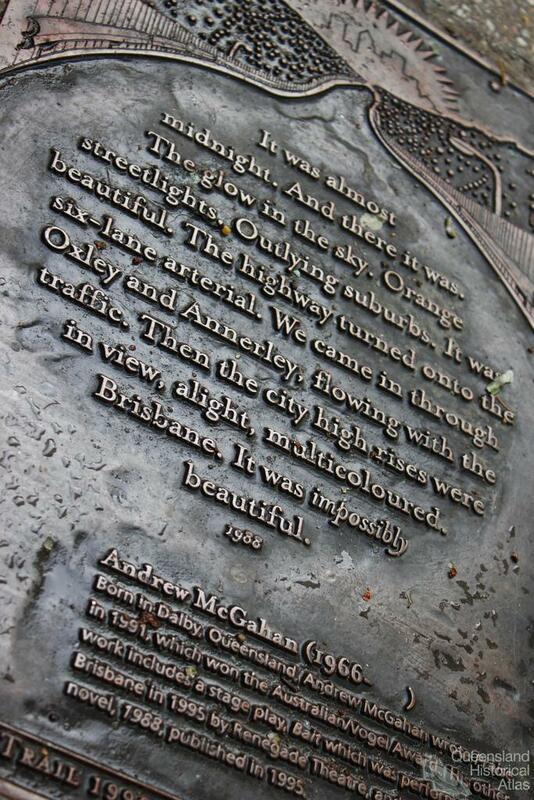 The Trail spans 100 years of Brisbane narrative: Francis Adams (1890) describes the ‘blue winding river’, whilst Andrew McGahan (1995) illustrates Brisbane through the ‘glow of orange street lights’. 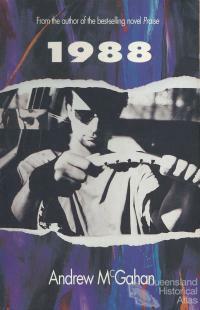 McGahan’s descriptions of urban Brisbane are typical of the realist style of writing that came to the fore in the 1990s with a trend towards stories of the small details of modem life, exemplified by internationally popular texts like Seinfeld or Bridget Jones’ Diary. These Brisbane novelists were conjuring mental maps of the city by virtue of detailing the shopping, dining and work habits of their unspectacular protagonists. However, this was not New York or London, and local readers were thrilled. Many Brisbane readers felt a strong affinity with this local yarn: there was a rush of new diners at the lead character’s favourite restaurant on Park Road, Milton, a street which itself was enlivened in the 1990s as café culture infiltrated the city. For outside readers, modern Brisbane was being textually created by these books. 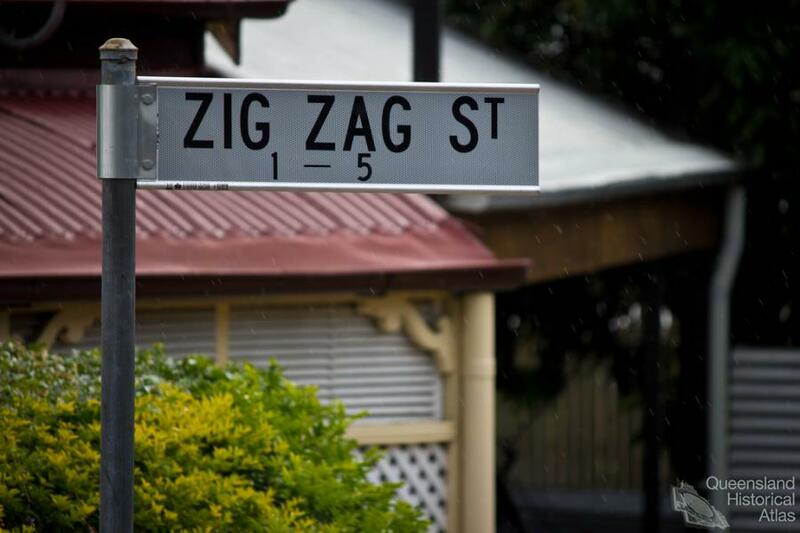 Curious tourists came to take photos of the real Zig Zag Street. 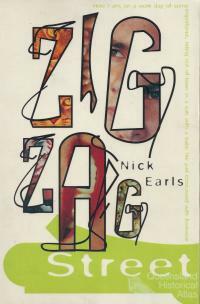 The Nick Earls fan site Sunny Garden responded to this by creating a series of virtual tours, matching pictures of Brisbane streets with lines from Earls’ novels (http://www.nickearls.com/tour.html). There are signs that Brisbane has come a long way in embracing its writing community. In 2002 Earls was chosen as the face of the city in a campaign for Brisbane tourism; a privilege more often reserved for media personalities than authors. 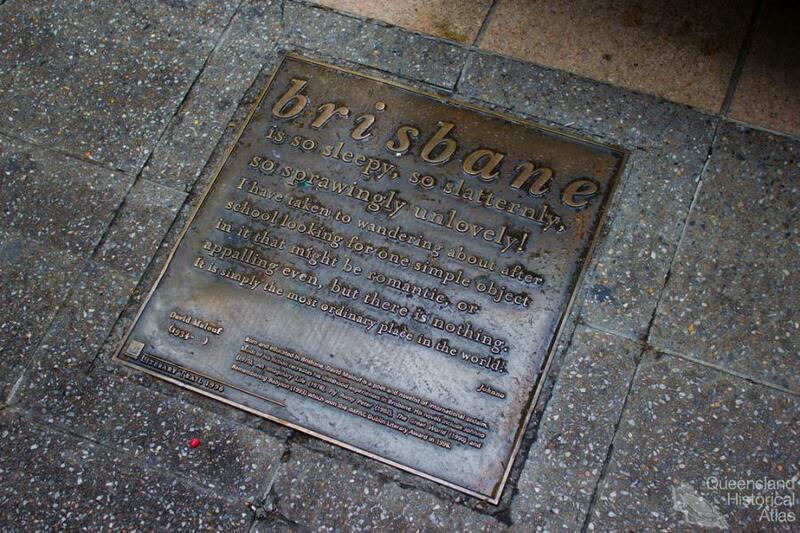 The 2005 text Words to Walk By maps out a series of walking ‘tracks’ that take readers through key sites of interest in Brisbane literary history. 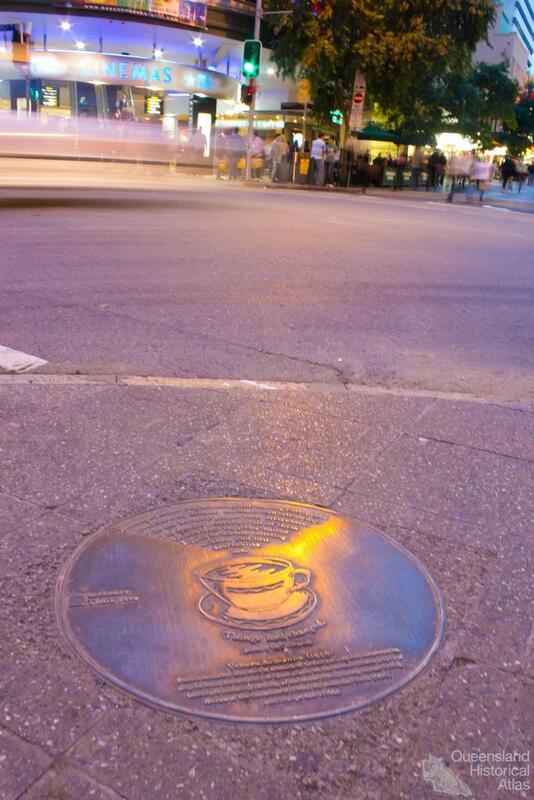 The ‘unlovely’ Brisbane memorialised by writers like David Malouf is, importantly, referenced in these walks, however tracks with titles like ‘At the bar with Nick Earls’ demonstrate a vital contemporary Brisbane, where writers no longer look elsewhere for approval.